Are you tired of running around town looking for that Brass Pipe Fitting? 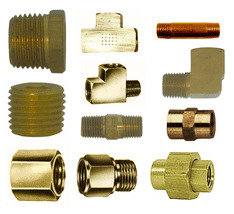 This assortment contains 68 of the most popular shapes and sizes of pipe fittings. 177 total brass fittings in this assortment. You have the option to choose the assortment with 3 of our FSC-05 metal fitting storage containers. The FSC-05 come with bin labels included.